Most people know of the existence of tree resins. They’re those inconvenient, sticky substances that never washed off your hands when climbing trees as a kid. But what you didn’t realize back then was that the sticky resins exuded from many species of trees around the world hold potent aromatic qualities, highly concentrated medicinal properties, and countless practical uses. I first discovered the power of tree resins in my early twenties. I collected and burned incenses from around the world since high school and inevitably had my first incense burning experience with resins a few years later. 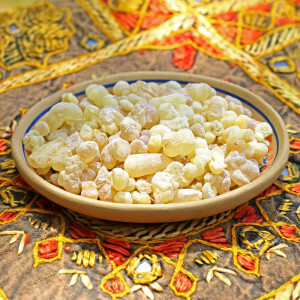 For me, burning Frankincense was my introduction to the world of fragrant resins, and from that potent experience, the way I looked at incense changed forever. Frankincense enhanced my personal rituals and meditations in profound ways, strengthening my presence and awareness and helping me tap into higher thoughts while bringing relaxation and calm to my mind and heart. These actions are the shared virtues of many resins around the world, which is why they’ve been such ideal materials for accompanying countless religious and spiritual practices, rituals, ceremonies, and meditations. Many resins have the ability to open and sharpen the mind and senses while engaging the parasympathetic nervous system, promoting feelings of inner peace and calm. Tree resins are a miraculous substance really. In a practical sense, they act as the defense mechanism for trees and plants. When a tree is damaged or a branch is broken, resin exudes from the exposed wood where the bark has been removed, covering the wound and sealing it off from intruders: insects, parasites, bacteria, funguses, etc.. When resin hardens over time with exposure to oxygen, it creates a sort of bandaid, or scab, allowing the tree or plant to heal while fending off outside influences. Most resins are found to have anti-fungal and antimicrobial properties that help the tree fend off any threats and also prevent decay; and at the same time, they usually have healing properties that help the tree heal itself faster. And these virtues are all important when using resins medicinally as well, and are reflected in how humans use them. For instance, when used topically they make really great antiseptic and antimicrobial ointments and first aid salves for cuts and bruises and other injuries or skin damage. They often also carry properties that promote skin tissue growth and healing. Resins tend to have a really complex chemical composition and can give off a variety of different aromas. A lot of the time they have a richness or sweetness to them, but there are also bitter, spicy, citrusy, balsamic, piney, and even slightly floral smelling resins. In perfumery, many resins are used as base notes for their heavier, sweeter aromas, and a lot of them also make great fixatives that help tie together the aromas of other aromatic ingredients, and even help other scents last longer. In incense, resins are used as bases and fixatives as well but they also make great binders that act as a natural aromatic glue to help hold the shape of different forms of incense. 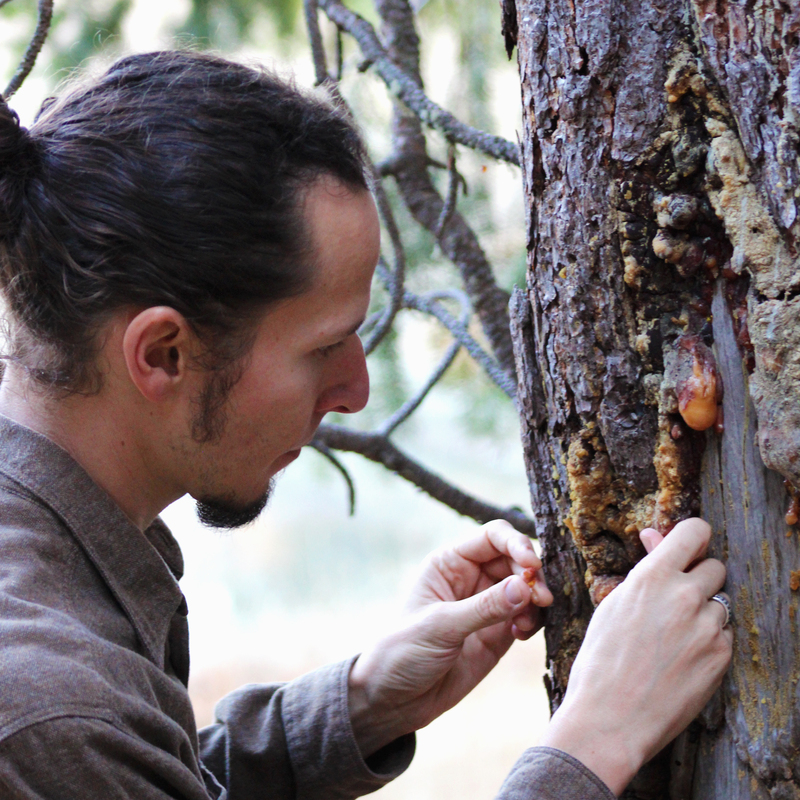 Watch the video above to learn more about the Magic & Medicine of Tree Resins. 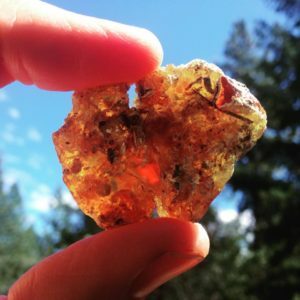 Tree resins have been a major part of spirituality, sacred rites, and ceremonies all around the world for thousands of years. Frankincense and Myrrh were used extensively by the ancient Egyptians and many other cultures for a wide variety of spiritual purposes; and these two are still burned as incense in Christianity and some Catholic churches today. Different species of copal have been burned in rituals in Mexico and Central America since the time of the ancient Aztecs and Mayans. In South America, other types of copal, resin from the palo santo tree, and other resins and plant gums have been used in shamanic and traditional healing practices for accompanying prayer, smudging or cleansing energies, spiritual purification, and many other sacred purposes. Many resins have also been used topically for healing various skin disorders, rashes, cuts and wounds, from minor to extreme. In older times, Aztec warriors used ointments of melted copal resin to treat battle wounds to promote healing and prevent infection. In North America, resins like juniper and pinon pine were used ritually as incense for spiritual and energetic protection and for enhancing meditations and prayer. Many Native tribes also used different resins for various healing uses. In a spiritual sense, when you think about the tree and its resin acting as its mechanism for personal protection and defense, you can see why resins have been burned in rituals and ceremonies for spiritual and energetic protection. 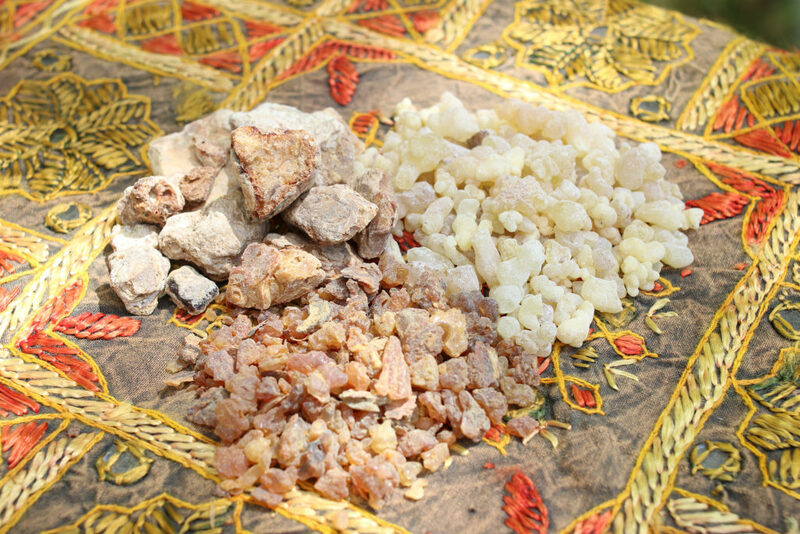 The smoke of different species of copal resin for example, is used for smudging and protecting worshipers for its ability to repel negative energies and spirits and keep everything clean, in an energetic sense, during ceremonies and rituals. Because of their countless spiritual uses, resins are some of the most commonly used incense materials in many different religions and spiritual practices; they’re used to purify and keep sacred spaces clean, protect the worshipers and ceremony leaders during rituals, and they sharpen the senses and awareness so people are more present and open, which is really important during meditation, performing healing, or working with other sacred ways. At the same time, they work on the emotional level as well; so you can see they’re really a perfect holistic tool for the job. There are many ways to utilize tree resins: topical ointments, unguents, and salves; infused oils; tinctures and spagyrics; essential oils; or as incense. However, there’s a certain magic and timelessness when you sit down to a session of burning a single resin as incense, and just take in that resin’s aromatic qualities and medicine, and consciously tune in to how it makes you feel. The next time you get your hands on any type of raw aromatic tree resin, keep this in mind when you bring it home and burn it as incense, whether you harvest your own or purchase it from a store. Really be present with the experience and remain open to whatever magic and healing unfolds for you. Do your best to notice any subtle sensations that arise in you, or any thoughts or feelings that come from the process. By becoming extra aware and by paying close attention during your incense burning session, you can receive profound insights into that resin’s medicine and healing virtues. Watch the video above to learn more about the magic and medicine of tree resins! Are you interested in learning more about the healing virtues, traditional teachings, and experiential wisdom of aromatic plants? Take your practice with aromatics and plants to the next level by checking out the Listening to Incense Program. © 2018 The Northwest School of Aromatic Medicine. All Rights Reserved. *If you’ve enjoyed this article and would like to learn more about aromatic medicine, the ancient art of incense, and the traditional spiritual and medicinal uses of plant smoke, join our email list and become a part of the Tribe!